One of the primary objectives of any budding business is to expand the operations globally. In the technological world of today, we are not restricted by geography nor distance and hence, all a business needs to grow internationally is capital, determination and strategy. Nothing is more important while running a global enterprise than having a means of seamless and efficient communication. Not only do you need to be in constant contact with your off-shore team, you also need to be able to call your foreign customers without worrying about routing difficulties or steep costs. A VoIP phone service helps a lot in this regard by bridging any communication gaps, providing a rich set of supplementary multimedia features along with video and voice calling features and by ensuring low costs (compared to traditional telephony). 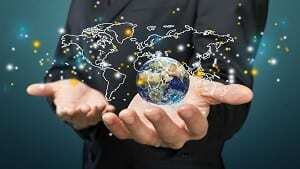 Why Should You Establish A Global Business? Potential for increased revenue: When a company expands internationally, it lays out a wider fishing net, which inevitably increases the chances of getting customers, which will eventually lead to healthier revenue streams. Greater talent access: When you take your business globally, you get the chance to find more talented individuals with unique skillsets that can prove to be ideal for your company. A global-company reputation: Another obvious advantage of running your business across the world is that you get to learn new cultures and are able to make your company more “well-rounded”. Increased chances of attracting foreign investors: It’s always beneficial for a budding company to land an investor and when you run a successful business in a foreign country, you are bound to attract some desirable attention. Helping more people: Lastly, by setting your company’s operations in multiple countries, you are able to help more people than ever before by providing your products/services to them. It’s hard to find a bigger advantage offered by VoIP than its ability to offer budget-friendly rates. Most of the best VoIP phone services have reasonable international calling rates that allow you to forego asking yourself, “Is this call worth the cost we are going to pay for it?” every time you are about to make a sales/support call. Just to give you an idea, Dell saved close to $40 million by using its mobile workforce and by telecommuting. Making the same amount of calls via your landline or mobile phone number is not only financially unviable, it’s also not efficient and the call quality might suffer too. Prefix-based routing: Prefix-based routing works by routing all placed calls based on the first few digits of the called party number. For example, if a call is made to a number starting with +44, the VoIP server will route the call to the gateway that has been subscribed for the UK. Conversely, if there is no server attached with a specific destination prefix, the call can be transferred to a fallback/default gateway. This helps in ensuring faster connection times, better call quality and lower costs. Priority-based routing: VoIP servers also allow you to assign priority to gateways and then forward the calls to the ones with the highest priority. Availability-based routing: Sometimes a VoIP gateway might not be able to handle any incoming call requests and via a VoIP server, you can make the decision of sending the call to a gateway that has the highest availability rates. This ensures that a minimum number of calls get dropped because of gateway unavailability. A Vonage VoIP connection can come in handy in this regard. In addition to the basic voice and video calling features, VoIP offers some of the most helpful supplementary features including call conferencing, music on hold, find me/follow me feature, call routing, VoIP whisper, VoIP barge, voicemail to email transcription, call screening, call monitoring, call analytics and presence etc. These features can help your team stay in touch with the off-shore team seamlessly and never feel any communication gap despite being thousands of miles away from them. By using supervisory features like VoIP whisper and VoIP barge, managers and supervisors can not only monitor the calls made by off-shore agents, they can also contribute to the conversations with actual foreign customers if need be. By recording and analyzing all made calls, administrators and managers can gauge the performance of customer representative staff that are not physically near them. 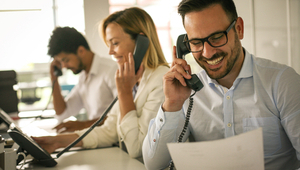 All the aforementioned benefits of having a business VoIP connection make it highly likely for the global VoIP market to grow at exponential rates in the coming years, as predicted by a report by Technavio. When it comes to global expansion, doing the groundwork and ensuring that all prerequisites are met goes a long way in securing success. VoIP is undoubtedly one of the primary prerequisite for a successful international campaign because it makes communication across teams, departments and countries a straightforward and seamless affair. 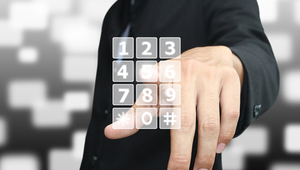 One of the biggest advantage that it offers, is a significant reduction in costs compared to traditional PBX telephony. Along with that, it provides you with a huge set of rich supplementary features like call screening, call monitoring, VoIP whisper and VoIP barge that make the processes of supervisory check-and-balance and quality control possible. Efficient call routing via different schemes like prefix-based routing and availability-based routing ensure that the call drop rate stays at a minimum and high standards of call quality are always met. In short, if you are looking to open your business globally, it’s a prudent decision to invest in VoIP first if you haven’t already.